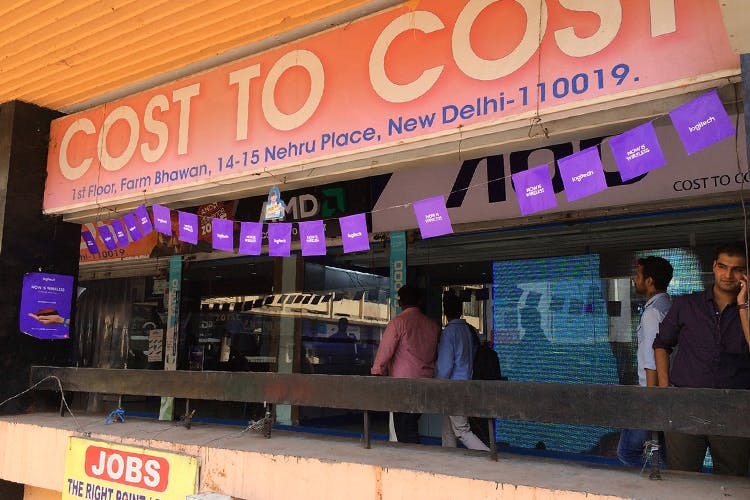 Cost To Cost, a not-so-tiny shop in Nehru place, sells all things computers, and stays true to its name by providing the lowest prices on the latest products in the market, and probably the city. For aspiring as well as professional gamers, this place is candy-land. If you’re looking for a new powerhouse or just beef up your existing one with some RAM or a new graphics card on a budget (r not), this is where you need to head. Casual users, too, will find a better deal here than most other places on laptops and computers in general. Their staff is generally courteous, and if it’s your first time building a PC, they’ll even help you through the technicalities, along with assembling the whole thing. You probably know this already, but parking in Nehru Place can be a problem. So, either choose the right time to go or take public transport. Do compare the prices online; it might, even if rarely, happen that you’d find something to be cheaper online than here.